This day of the dead mask is hand painted with lots of detail. 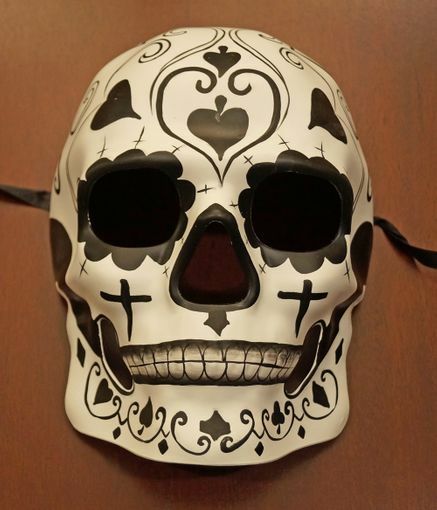 Mask is great for day of the dead, Halloween, and Mardi Gras. Secures with ribbon ties.